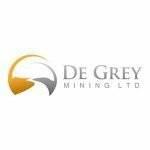 Not long after WA based metals explorer De Grey Mining (ASX: DEG) announced an option to acquire the Indee Project, replete with JORC 2004 resource estimates, it has delivered an upgraded JORC Estimate, with the company announcing its total Project Resource had passed the 1 million ounce mark. 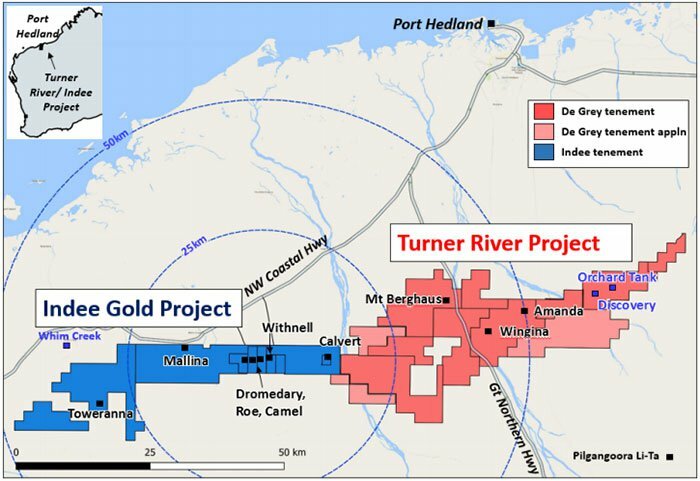 This advanced gold exploration company operating in the Pilbara region, provided its updated mineral resource for the Indee Project just weeks after the purchase of an option for Indee, which is based on the Mallina shear along strike and contiguous with DEG’s Turner River tenements. The new holding gives the company control over 160km of strike on the Mallina and Tabba Tabba shears. That’s a sweeping strike length, and a large resource inventory, from which to launch a full assault on gold development in a fluctuating, yet generally stable gold market, especially for a $10.4M capped junior stock. The announcement of its one million ounce milestone, took into account historical drilling data that had not previously been reported to the ASX and brought the estimate in line with JORC 2012 standards. 54% of that resource sits in the Measured and Inferred categories. The total resource at Indee alone, as part of the overall 1 million ounces, is now 538,000 ounces grading 1.8 grams per tonne. The key Withnell deposit within Indee hosts 70% of the Indee Resource. This is important as it may mean that DEG does not have the same drill out requirement to achieve a Bankable Feasibility Study as some of its peers. All resources extend from surface with excellent potential to increase at depth and along strike. There is clear scope for substantial resource extension based on already identified significant deposits, along with a reasonably well defined geological east-west trend. The initial acquisition price indicated a cost of $43/oz. The JORC upgrade sees this reduce to $28/oz. and is expected to fall further with additional drilling. Speaking of drilling, DEG is set to commence a major drilling programme in early May, just weeks from now, to target extensions to existing resources. A recent capital raise of $1.82 million will help it fund these endeavours, and hopefully unlock additional value. In addition to drilling, DEG has already begun a Scoping Study to determine the feasibility of turning Turner River and Indee into a stand-alone production centre. As you can see, DEG is progressing well towards its gold ambitions and for a company of its size, there appears to be a lot of upside given the expected newsflow to come over the next few months. Although, this is still an early stage company and investors should seek professional financial advice if considering this stock for their portfolio. DEG is hoping to be the “next cab off the rank for growing Australian gold developers” – which would see its current $10.4 million market cap climb substantially. In the last 12 months there have been literally thousands of news stories, print and online, discussing the ‘how’ and ‘why’ of the gold rally and subsequent fluctuations. Just recently, a Tweet by President Donald Trump sent the gold market higher with Forbes declaring if Trump’s growth plan plays out, inflation runs up, which is fuel for gold. And if Trump policies flop, the risk environment rises, which is fuel for gold. Suffice to say, gold remains a safe prospect for investors looking for stability, and equally, for explorers attempting to meet demand. Of course, commodity prices do fluctuate and caution should be applied to any investment decision here and not be based on spot prices alone. Seek professional financial advice before choosing to invest. 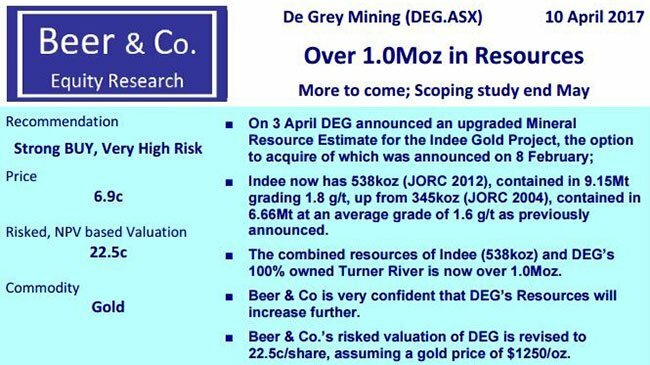 DeGrey Mining (ASX:DEG) is one such explorer, which, since we last covered the company in mid-February has continued its aggressive gold push in WA’s Pilbara region. In the article DEG to Acquire Gold Project Next Door: 160km of Gold Rich Strike Length , we discussed how DEG had expanded its gold portfolio with an option to acquire the Indee Gold Project near Port Hedland in WA. As you can see by the map below, Indee neighbours DEG’s existing Turner River Project and brings scale to the company’s operations. The Indee acquisition option gives DEG the ability to move quickly towards production on its existing mining leases and thus shorten its overall production timeframe. At the time this was designed to potentially take DEG’s overall resource past the magic 1 million ounce mark. Now, barely six weeks later, we can report that Indee is already serving its purpose and a recent cap raise to raise $1.82 million will help it on its way, as will its Top Drill contract. Top Drill has been contracted for a 20,000 metre RC drilling program with 50% of costs taken as equity and escrowed for six months. With cash freed up and money in the bank through this astute Top Drill deal, DEG will now concentrate on finalising its Scoping Study and initiating PFS activities, as well as the Resource expansion, diamond drilling, aircore drilling over priority resource targets at Turner River and a structural appraisal of the Mallina and Wingina shear zones. That’s a lot to take in, but let’s first look at the Resource boost. The Indee Project, which remains subject to an option agreement whereby DEG must pay $15 million to acquire the asset in its totality by July 24, 2018, is situated on the Mallina shear, along strike from DEG’s Turner River tenements – giving the company over 160km of strike of the Mallina and Tabba Tabba shears to tackle. Importantly for DEG, the Indee Project’s granted mining licenses could fast track DEG from explorer to gold project developer. The addition of Indee means that DEG can commence evaluations and proceed directly to a Definitive Feasibility Study stage. As detailed above, Turner River and the new Indee Project together host a total Resource of 18.84Mt at 1.7g/t Au for 1,002,300oz; M & I (54%) 9.83Mt at 1.7g/t Au for 536,800oz; Oxide (39%) 7.48Mt at 1.6g/t Au for 387,200oz. With the 1 million oz. marker now in the bag, the company has kicked off a Scoping Study to evaluate the potential economics of a proposed stand-alone mining operation on the two combined projects. The Scoping Study and drilling program are DEG’s immediate focus and should provide strong newsflow in the coming months. The Scoping Study has already begun on this potential proposed stand-alone operation with simple open pit mining and on site processing – which would no doubt keep costs down significantly. Results of the Study are expected in May, just weeks from now, and is intended to define proposed project economics, plant throughput and design criteria and capital and operating costs. The Indee Project shows less oxide resources than does Turner River, so the metallurgy around the fresh ore is important. The major drilling programme is also set to commence in early May, as DEG targets extensions to existing resources, and advanced resource targets including Mallina. The upside here is that Mallina is currently showing as an exploration target of somewhere between 50,000 and 150,000 ounces. Completed by Payne Geological Services, the resource estimate includes the main Withnell deposit which hosts 66% of the overall Indee resource and the satellite deposits of Dromedary, Roe, Camel, Hester and Calvert. As shown below, the deposits occur along a strong east west structural trend related to a series of parallel faults over 5km of strike. It should be noted here that there is significant RC and diamond drilling intercepts outside of the resource modelling, with limited drilling and other targets including the Far East Prospect, and to the north of the Roe and Withnall deposits. This suggests there is plenty of scope for a further resource extension. However, this is speculative at this stage, so investors should consider all publicly available information and take a cautious approach to their investment decision. Once the drilling programme commences in May, DEG will target resource upgrades at Mallina and Withnell, with further drilling required to better define and extend high grade shoots that are also visible down plunge. The high grade nature of these shoots provides encouragement and scope for longer term underground mining potential. So the prospects for Indee are high and coupled with its existing work at Turner River, DEG is well-placed to keep momentum going. While acquiring a new option brings myriad possibilities, not to mention investor attention, it’s important to keep a solid focus on firming up existing projects so that progress doesn’t wane. In late March, DEG conducted soil sampling over a 15km segment of the Tabba Tabba Thrust which identified two new gold anomalies and confirmed two existing anomalies. Buckle reported soil anomalies of 1,820 ppb and 860 ppb – or 1.82 g/t and 0.86 g/t, which is ore grade and shows the potential of the target areas. 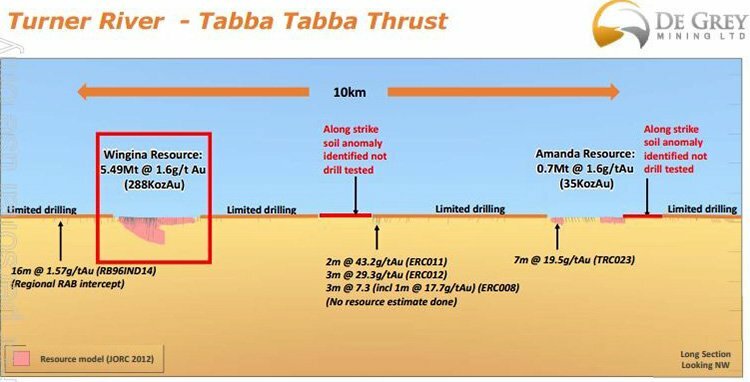 The Tabba Tabba Thrust is an important host of gold mineralisation in the region, including DEG’s 100%-owned Wingina (5.5Mt at 1.6g/t Au for 288,000oz) and Amanda (0.7Mt at 1.6g/t Au for 35,000oz) deposits and various other gold prospects. With DEG’s current tenements, it controls over 160km strike of the highly prospective Tabba Tabba Thrust. And with mapping and rock chip sampling apparently planned for the June quarter, there should be plenty more news flow to come. As is the rite of passage for a small cap at such a crucial stage, analysts have been giving their 2 cents on DEG’s position... and all in all, this emerging metals play is coming up ‘good as gold’. Although it should be noted that that broker projections and price targets are only estimates, based on a number of assumptions which may not turn out to be correct – so don’t invest on the back of a broker price target alone. In any eventuality, DEG’s collective resource tipping into the prestigious 1 million oz. category has raised a great deal of interest. The King Col pegmatite trend has also been identified in the Tabba Tabba Greenstone belt... giving DEG the option to dip its toe into the lithium market, a metal which has taken the mining world by storm in the last few years. King Col is a 7.5km pegmatite trend located within the Tabba Tabba greenstone belt. The highest anomalous result so far was a high-grade result of 4.22% Li2O, identified as lepidolite. Soil sampling has covered ~2.5km with the remaining 5km still to be explored for mineralisation containing not just lithium, but also caesium and tantalum. 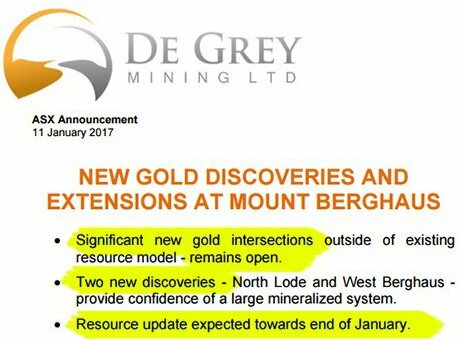 It’s something DEG investors are keeping an eye on, but the focus remains the gold project development. The regional-scale Tabba Tabba Thrust and Mallina Shear Zone are host to the known gold mineralisation in the region, including all the defined resources within the Turner River and Indee Gold Projects... which is why DEG is focused on developing and expanding the defined gold resources at both projects. And the exploration team are quickly getting to know the secrets of the highly prospective geology there – and the potential it holds. 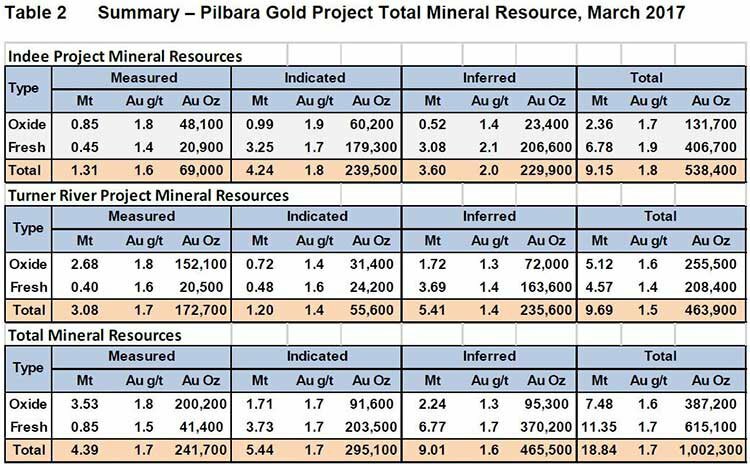 A Mineral Resource Upgrade for the Mt Berghaus deposit was announced in January, the result being an increase of 227% to 3.5Mt at 1.2g/t Au for 141,000oz ... factoring that in, the Turner River Project Global Gold Resource climbed to an impressive 9.7Mt at 1.5g/t Au for 464,000oz. Just consider that for a moment – a Resource that’s found to be 227% bigger than first anticipated. The results so far paint a promising picture. In the coming weeks we will be awaiting news of the Scoping Study, and in just a few months will have more information about the a Definitive Feasibility Study (DFS) and more JORC Estimate upgrades, with a series of drilling results to be released regularly during the next few months. There’s every reason to see a glistening future for this stock, particularly if it continues down what appears to be a yellow brick road. Scoping Its Way to a Larger Gold Resource in WA — DEG Nearing Revaluation?